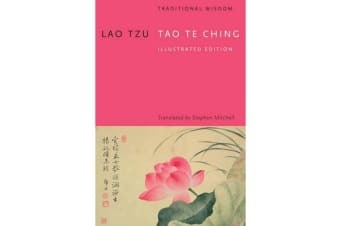 Stephen Mitchell’s translation of Lao Tzu’s Tao Te Ching (The Book of the Way) has sold over half a million copies worldwide. In this edition, Mitchell’s text is set against ancient Chinese paintings selected by Asian art expert, Dr Stephen Little. ’What is rooted is easy to nourish What is recent is easy to correct’ Lao Tzu’s Tao Te Ching (The Book of the Way) is the classic manual on the art of living. In 81 short, poetic chapters, the book looks at the basic predicament of being alive and teaches how to work for the good with the effortless skill that comes from being in accord with the Tao, or the basic principle of the universe. Stephen Mitchell’s acclaimed translation is accompanied by ancient Chinese paintings that beautifully reflect Lao Tzu’s timeless words.